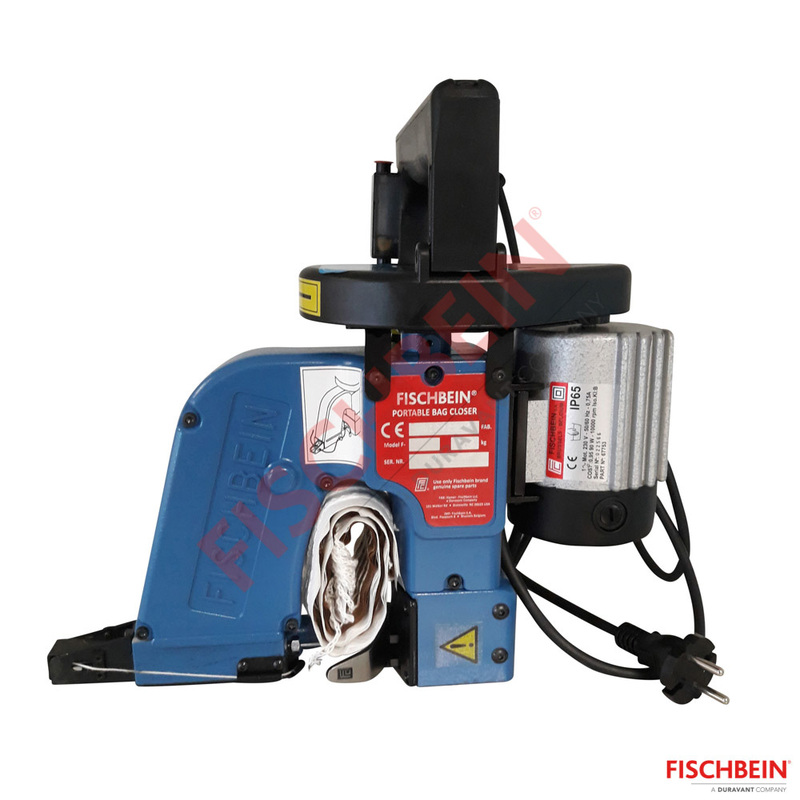 This sewing system, fixed to the floor is used to close paper, polypropylene, or polyethylene (thickness +/-120 µ) bags. 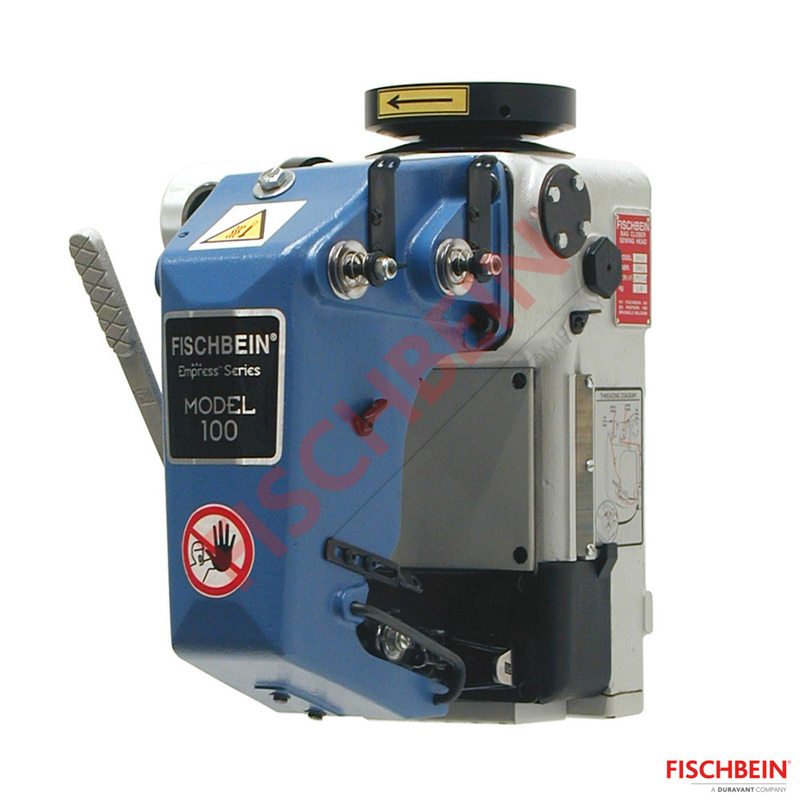 The already reshaped bag is introduced into the infeed which guides the bag to the sewing head. 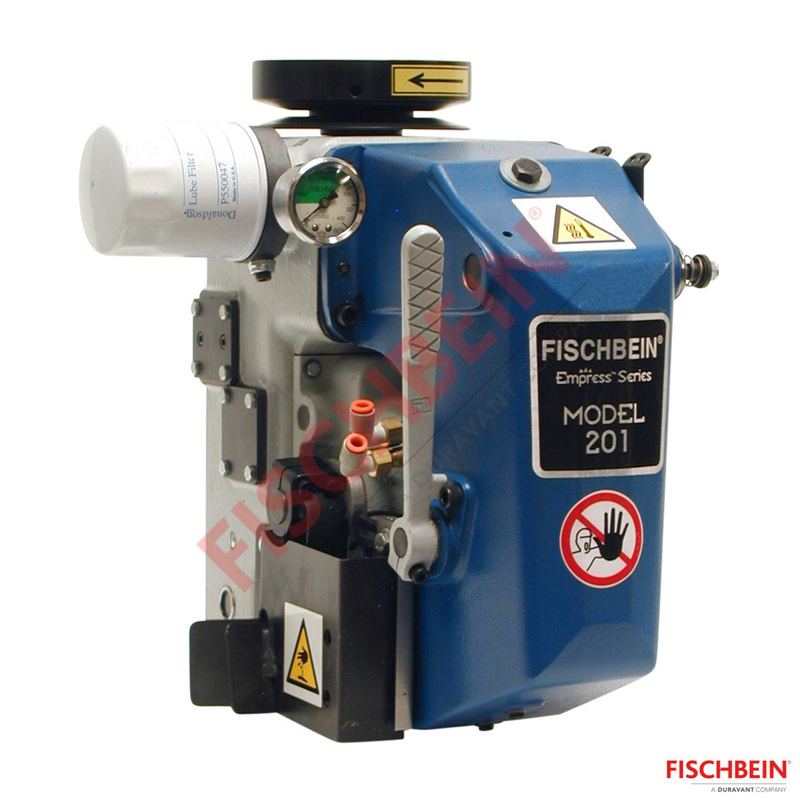 High speed sewing head, used for tape and/or plain sewing of open-mouth bags, made out of paper, polyethylene (min. 120 microns), coated woven polypropylene, and complex bags. 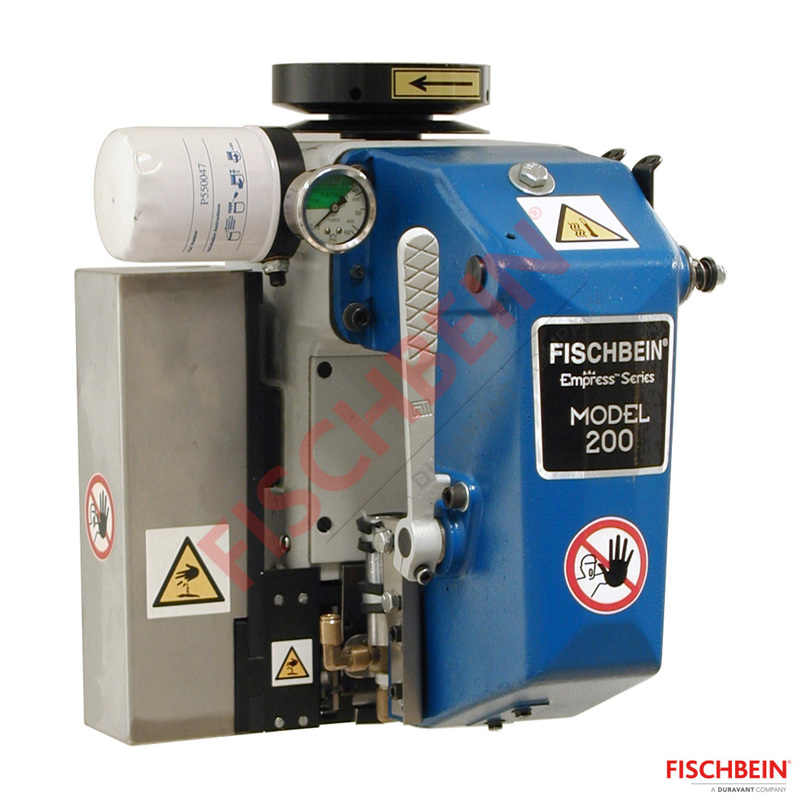 High speed sewing head, used for plain sewing of every type of open-mouth bags, including paper, woven polypropylene, jute, burlap. Specially suited for nett bags. 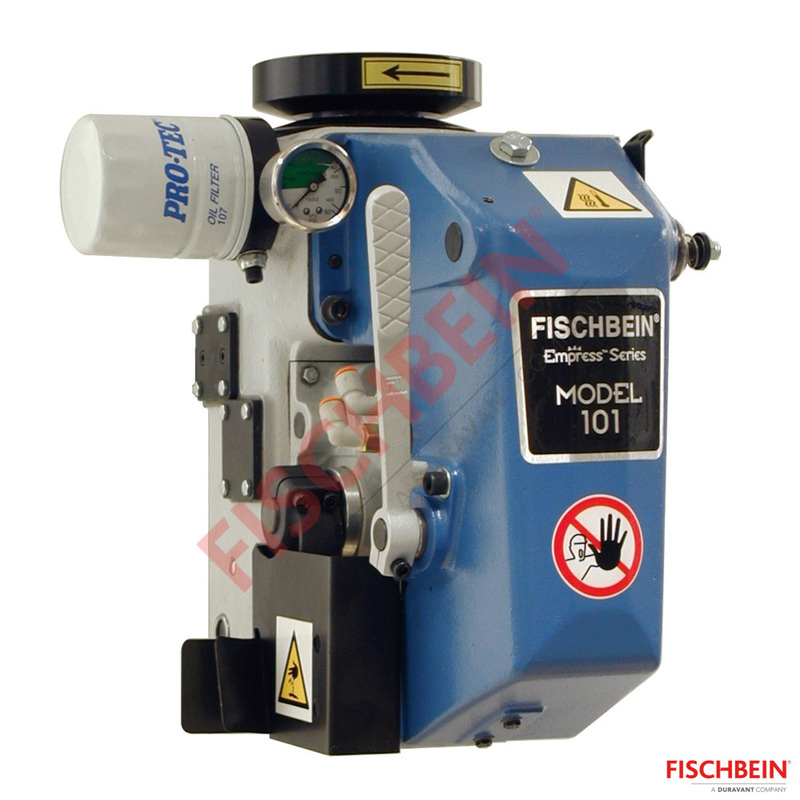 Low vibration sewing head, used for tape and/or plain sewing of open-mouth bags, including paper, polyethylene (min. 120 microns), coated woven polypropylene and complex bags. 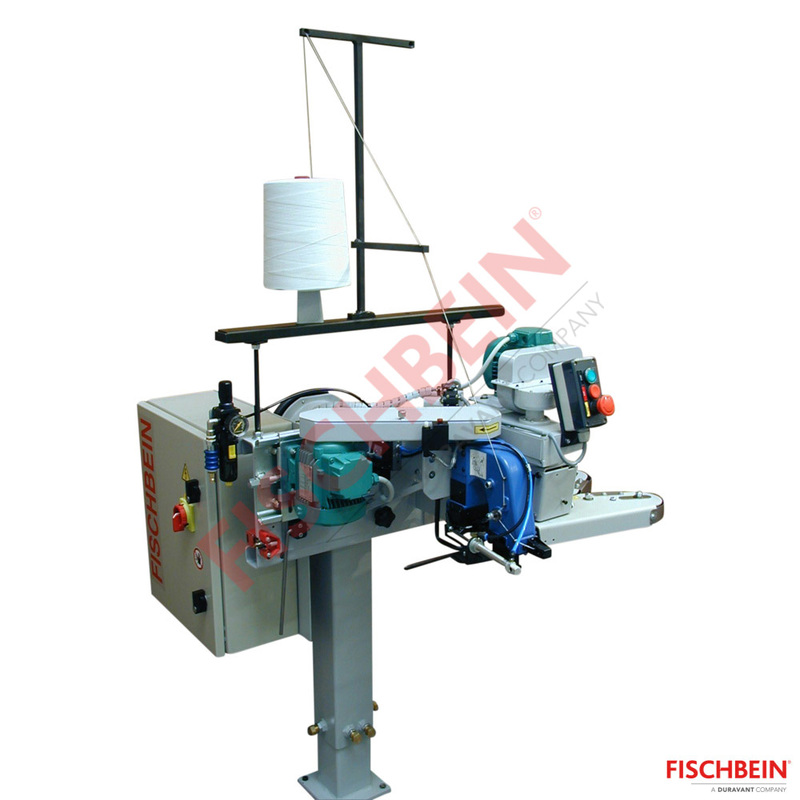 Low vibration sewing head, used for plain sewing of every type of open-mouth bags, including paper, woven polypropylene, polyethylene (min. 120 microns), jute, burlap, nett bags. This mini-system is used to close all types of bags. 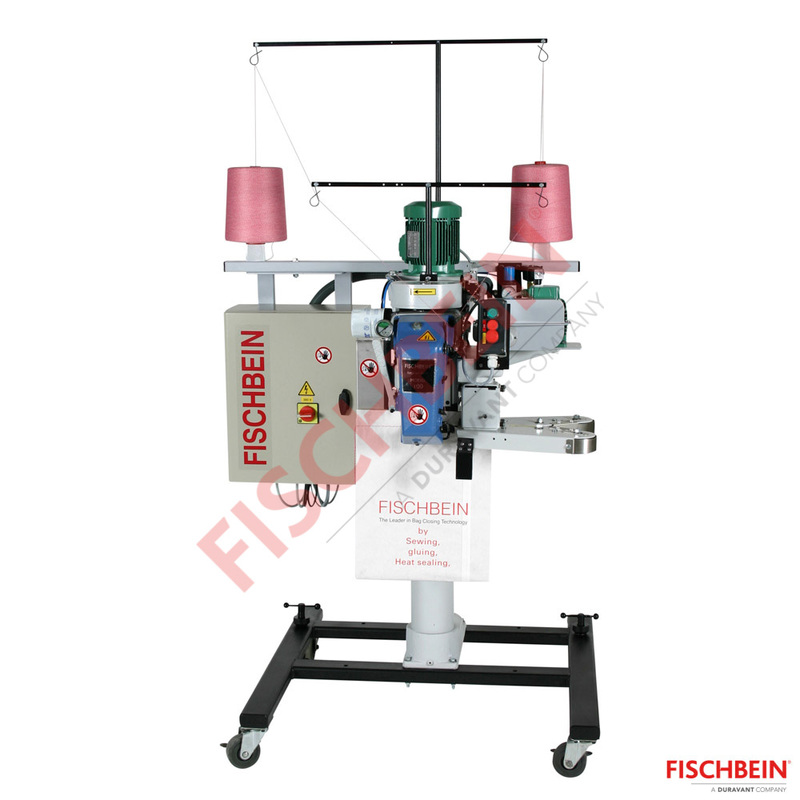 The already reshaped bag is introduced into the infeed which guides the bag to the sewing machine. 1-thread portable/hand-held sewing machine to close all types of bags.